Nailed It NZ has a Patreon! 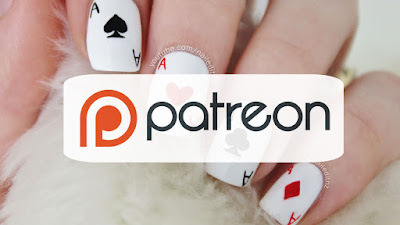 Hey guys - just a quick update to let you know that Nailed It NZ is now on Patreon! Patreon is a popular way for people to show their support for their favourite creators. Patrons pay a chosen amount - for me it's per month, to help the creator continue what they're doing... and make it better. Some well-known users of Patreon are Hank and John Green, Amanda Palmer , Blind Wave & Wait But Why. You can learn more about Patreon and how it works here and here. A lot of work goes into creating online content, and after getting a bit of interest in my own Patreon lately, I thought I'd share it publicly. If you enjoy my videos and find that you get real value out of them, I'd love it you showed your support by throwing a couple of dollars my way each month. This money will help to pay for new camera equipment, upskilling classes, computer parts and will generally help with replacing things that wear or run out. Investing in these things mean that the quality of my videos will continue to increase, and you'll have a part to play in the direction Nailed It NZ grows in. In case you're wondering - here's what Patreon isn't; a way to pay for my bills, rent and groceries. Not that there's anything wrong with creators doing this - everyone's got to eat, right? But I have a great job, and that has me covered for the day-to-day stuff. This is just to help build a better support and tutorial channel for you guys, without dipping into my grocery money too much ☺. Check out the reward tiers on Patreon (yes, there are rewards! Discounts! Woo! ), and if you have any questions, feel free to comment them here, on Facebook or email me at jessie@naileditnz.com. I'm an open book ☺. Click here to visit Nailed It NZ on Patreon.